It can be tough finding your audience on YouTube. Even when you know what the most popular YouTube video types 10 Most Popular YouTube Videos You Can Make Today 10 Most Popular YouTube Videos You Can Make Today If you want to start a YouTube channel today, these are the most popular types of video you can make. Read More are, you still have to stand out above the rest. That’s key to being successful in the video world. One simple trick to making your videos stand out can help: custom video thumbnails. Here’s how you make them. You’ve no doubt seen video thumbnails. They’re the images that accompany lists of YouTube videos when you visit the site. Video thumbnails also appear as the first thing you see when visiting a video page before clicking play. By default, YouTube selects these images automatically, from the video itself. If necessary, you can select a particular thumbnail in the video’s Info & Settings screen (mouse-over the fourth thumbnail for options), just in case the automatic selection doesn’t work. But you also have the option of setting a completely different thumbnail, by uploading a graphic. Why do this? 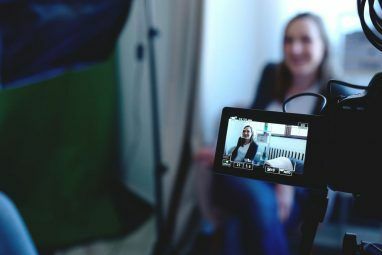 With millions of videos uploaded to YouTube every single day, you need something to help your productions stand out from the crowd. Custom YouTube video thumbnail images, which can be made with the most basic art packages, are the answer. As long as your YouTube account is verified, you can upload attention-grabbing thumbnails that will compel viewers to click the link. But what makes a thumbnail grab attention? The resolution should be 1280 x 720 pixels. Use an image that stands out. Dark images don’t look the best in the YouTube sidebar. Ensure the image isn’t too busy. With regards to dark images, a great way to avoid this is to create thumbnails with a striking background color. This may require learning a new function in your favored art package (see below for more on suitable apps) but it can work really well. In short, this means removing the existing background from an image 5 Easy Ways to Remove Backgrounds From Images Without Specialized Software 5 Easy Ways to Remove Backgrounds From Images Without Specialized Software If you want to remove a background from an image, you don't exactly need Adobe Photoshop. Here are five alternative ways to do it! Read More , and replacing it with a new, eye-catching color. Remember that the image will not only be used as a thumbnail; it will be the preview image for your video. 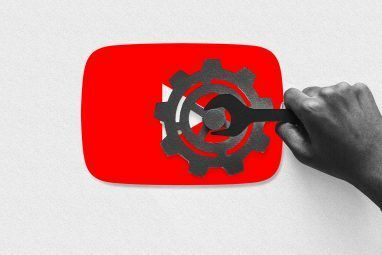 Your thumbnail will also appear on all devices, from desktops to smartphones, and even smart TVs 6 Ways To Watch YouTube Without Going To YouTube 6 Ways To Watch YouTube Without Going To YouTube Do you sometimes get tired of YouTube? No, I don’t mean of YouTube’s content – it’s so diverse you can always find something new and exciting to watch – I’m talking about YouTube’s interface, with... Read More . Ensuring the image is of a high resolution will help you attract viewers across platforms. As a sidestep from the previous point, the content of the image should be striking, and perhaps recognizable too. Successful YouTube channels rely on memorable thumbnail images built around a particular style. You can do this too, with a bit of research. But you might also try recognizable images related to the content of your video (but without any direct connection). For instance, a video about growing carrots might use Bugs Bunny as a thumbnail. Try to use images that will grab the attention of your target audience. Take a look at the videos put up by other people making content like yours, and see what they’re using. Big companies can hire professionals to choose the best thumbnail images, and you can learn from them. Different video types can benefit from a specific theme. For instance, if you vlog about movies and games, you could use a movie poster-style font for the movie videos, and a digital font for videos about games. Take educational vlogger Maddie Moate for instance. She has several video topics in her channel, including videos on beekeeping and wildlife. For the beekeeping videos, Maddie uses a split-screen thumbnail featuring an image of her in a beekeeper’s hat, and some bees in closeup. Meanwhile, for the wildlife videos, she uses the split screen approach again but with a striking Georgia-style font. Whoah, what? Text on a thumbnail? What a great idea! 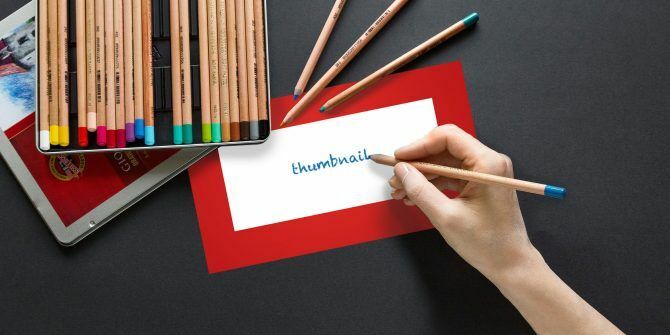 Yes, thumbnails can also be title cards, images that not only provide a striking image to entice viewers, but also feature text. The text you use should be relevant to the video (perhaps a briefer version of the title), and it should also be clear and easy to read. 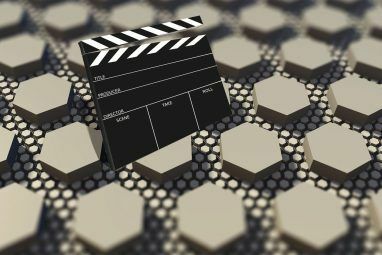 Title cards are a great for branding, and bring a degree of authenticity to each video you upload. They should be clear and striking, as mentioned, and introduce your video. Many YouTubers (such as FBE, as shown above) actually start with brief highlights from the following video, then bring the title card into play. And just as many use a completely different title card to the video thumbnail. Find the tactic that works best for you and your channel and see how things turn out. So many apps can be used to help you make custom YouTube thumbnails. You might employ a freeware desktop art package like Paint.NET Using Paint.NET? Make It Even Better With These Great Plugins Using Paint.NET? Make It Even Better With These Great Plugins Have you ever needed to do computer artwork that involved more than simple crops and resizes? For a long time, your only real options were Paintshop Pro and Adobe Photoshop, although the rise of GIMP... Read More or go for a top-end solution with Photoshop. Or you might simply rely on a mobile app. There are also web apps and browser-based tools that produce YouTube-specific custom thumbnails. But which should you use? Several free options are available, but they always have paid upgrades. For instance, Fotojet has a great YouTube thumbnail designer, featuring editable templates, a selection of fonts, and a library of clip art that can be inserted. Some items are premium-only, but overall the tool is good and can be used without signing up. When it comes to mobile apps, however, you’ll need something that allows you to combine images with lettering. It doesn’t have to be a specific YouTube thumbnail creator — while such apps are available, they don’t upload into YouTube. Specific custom thumbnail creator apps with YouTube compatibility include Thumbnail Maker (iOS, Android) and the similarly-named Thumbnail Maker & Banner Maker (iOS [No Longer Available], Android). Both of these tools have what you need to create a great thumbnail. However, they’re also loaded with adverts so you’ll probably prefer to upgrade to the paid versions. It’s Time to Start Using YouTube Thumbnails! Select a quality image at the right resolution. Employ a consistent theme (usually in the choice of font). Consider using thumbnails as title cards. Find the right tools to create your YouTube video thumbnails. What do you think of YouTube thumbnails? Have you made your own or have you found they make no difference to your videos? Perhaps you’ve found a better way of making video thumbnails? Tell us in the comments.